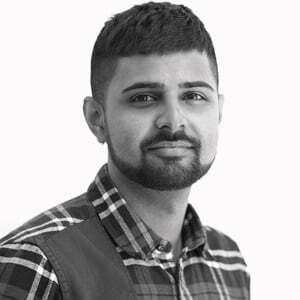 SocialBro - A Tool You Need For Twitter. 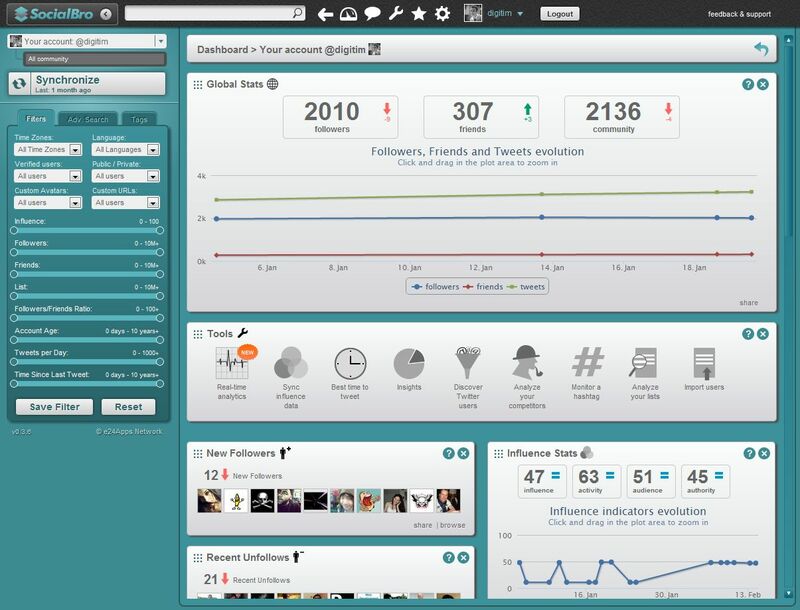 SocialBro has been the latest social dashboard for Twitter to attract some attention in recent months. After using the dashboard for several months now, I can definitely say it’s definitely worth exploring. The home interface which can be seen below gives you a wide range of stats, including a graph plotting your followers, friends & community. Below this graphs gives you details of your new followers, recent unfollows, everyone who hasn’t tweeted in 8 months, who rarely tweets or who doesn’t follow you back, and the list goes on. It also allows you to unfollow some of these groups all at once. Social Bro gives you several tools to analyse your Twitter account – the screenshot below gives you a view of the insights tool. 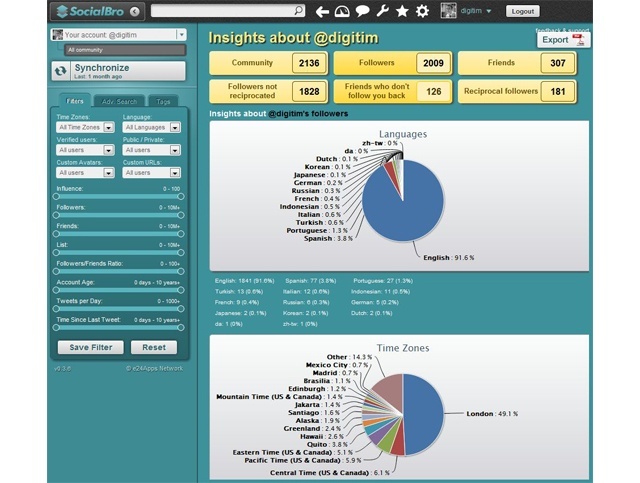 It will give you insights about your followers location, languages, influence rank (Peerindex), users by no. of followers - literally anything you could want. It will also produce several graphs for you. Another great feature is the ‘best time to tweet’ funtion. Once you’ve clicked this SocialBro produces a report for you. SocialBro - Real-time analytics for Twitter from Socialbro Explore your community on Vimeo. 1) To see at a glance the real-time state of your community and to identify users who are online, to interact with them. 2) If you have a multi-language account, the language chart helps you identify the best language to tweet in at any given time. 3) If the users are mostly tweeting from apps like Foursquare or Instagram, for example, they probably are not aware of their timelines in that moment. 4) You can monitor a specific group of users via a Twitter list.